My name is Aaron Higgs and I am now the new blogger for Ace of Baseline. Below is a little bit of information about myself. I am a fan of both tours and watch tennis most days, be it the main tours or challenger level. When it comes to my favourite male players I definitely prefer Federer over Nadal and also John Isner. 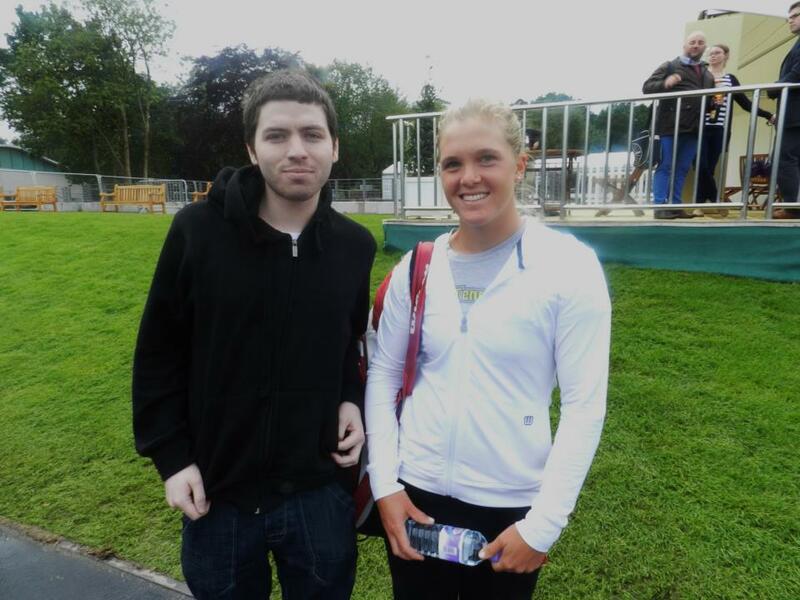 On the WTA tour, I am a Maria Sharapova fan and also admit to being a bit of a Melanie Oudin fanboy.. during the recent Birmingham tourney I actually met her as we wondered about during countless rain delays! I intend to carry on as Ace of Baseline with coverage of both tours up and coming stars as well as more regular previews and reviews of the weekly tournaments as well as anything else that takes my fancy. Although this is purely for enjoyment and interest purposes I plan to take a sports journalism course in the near future which I hope will take me to the next level and get my writing out to a wider audience.